“Refferer Spam,” in other words, is traffic from bots which impersonate a referral link. This “fake traffic” is designed to make you think someone has visited your website via a certain domain, such as '4webmasters.org' and 'trafficmonetize.org.' The hope is that you'll visit that domain. We have set up a comprehensive blocklist to stop all Referrer Spam before it reaches Leadfeeder. This results in a cleaner, more streamlined experience for our users. It's important to note, however, that this change won't block referrer spam from hitting your Google Analytics so you'll need to keep an eye on Google Analytics. Happily this traffic is very easy to get rid of with Google Analytics Filters. STEP 1: Log in to your Google Analytics account. 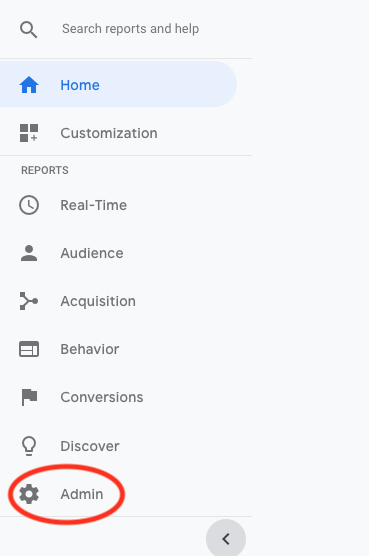 STEP 2: Navigate to the Admin section in Google Analytics. STEP 3: Choose the correct GA View and select Filters. STEP 4: Click New Filter button. STEP 5: Enter a name for your filter, e.g. "Exclude Referrer Spam". STEP 6: Select Filter type Custom. STEP 7: Select Campaign Source as Filter Field. STEP 9: You can click Verify this filter to see a short report from Google Analytics on how the new filter would affect your existing data. STEP 10: Double check that you've entered everything correctly and click Save. NOTE: The filters do not apply to your existing data and filtered data cannot be recovered afterwards.